2.9 Splory - Plan your meet ups! 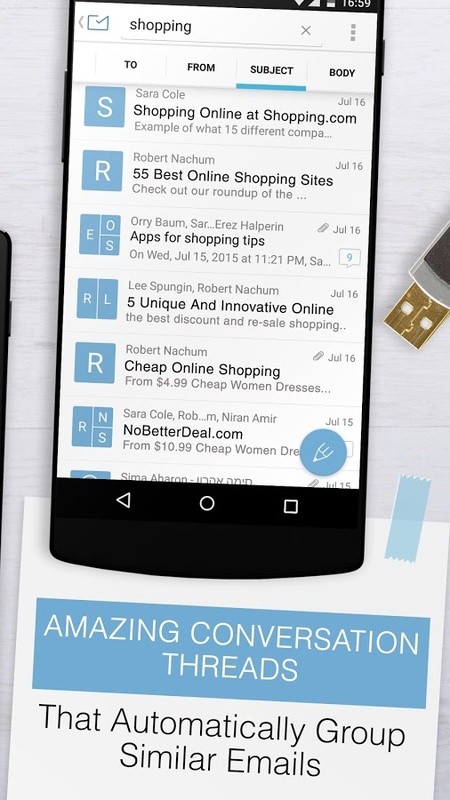 This week's roundup is brought to you by Email for Exchange Mail Apps + by Mail Wise. 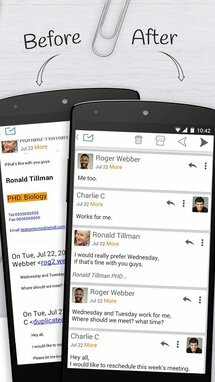 It's an email client that focuses on ease of access, and reformats both chains and individual messages into easy-to-read text. 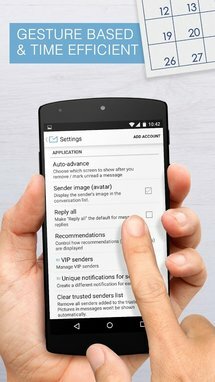 Mail Wise works with Exchange ActiveSync and all major webmail services, including Gmail and IMAP importing. 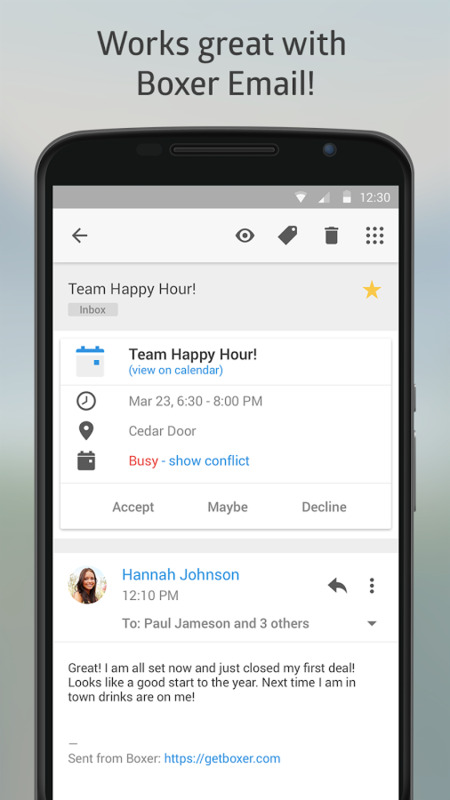 Smart grouping keeps important mail close at hand while sorting social and promotional messages for easy access. 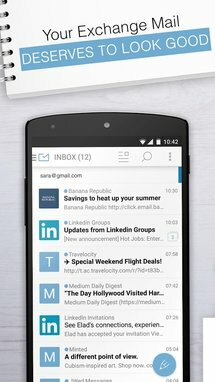 Email is better with Mail Wise. Use our email client to easily setup multiple accounts including Microsoft Exchange ActiveSync, Hotmail, Outlook, Yahoo, AOL, Live.com, MSN, Gmail, GMX and IMAP accounts (multiple email accounts supported). This is your inbox as it should be. * Get all your mail in one app with the best conversation view on the market. 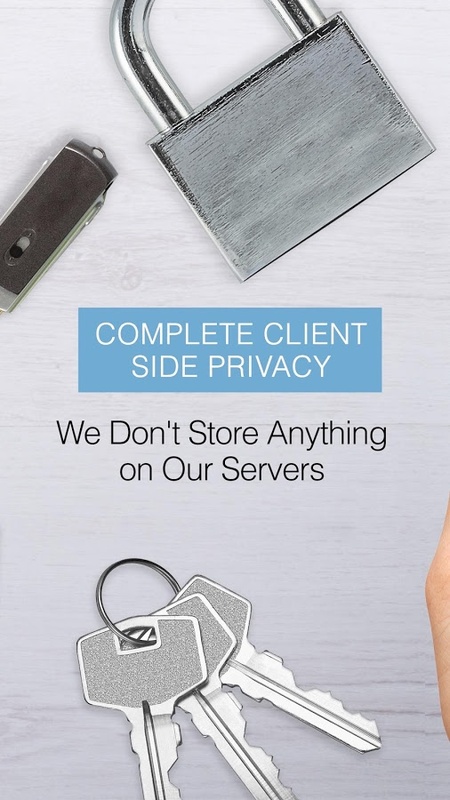 * Safe & Secure – a pure client side email app - all data is stored locally on your device. Your data can't leak from our server - we don't have a server. 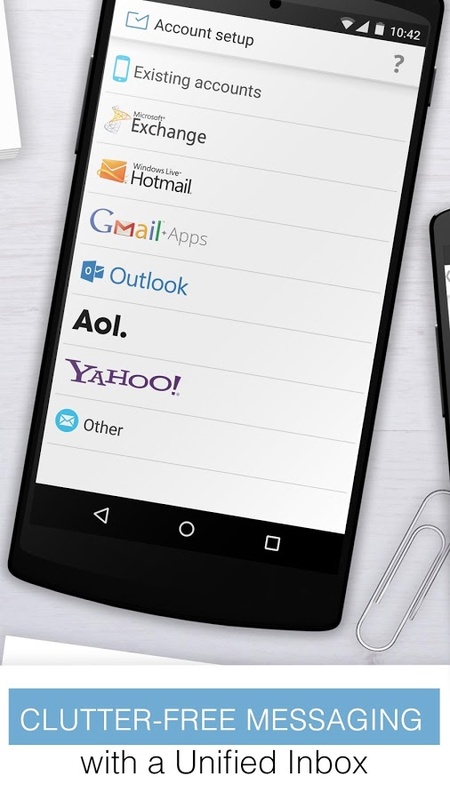 * Manage multiple email accounts from different providers conveniently in one email client app. 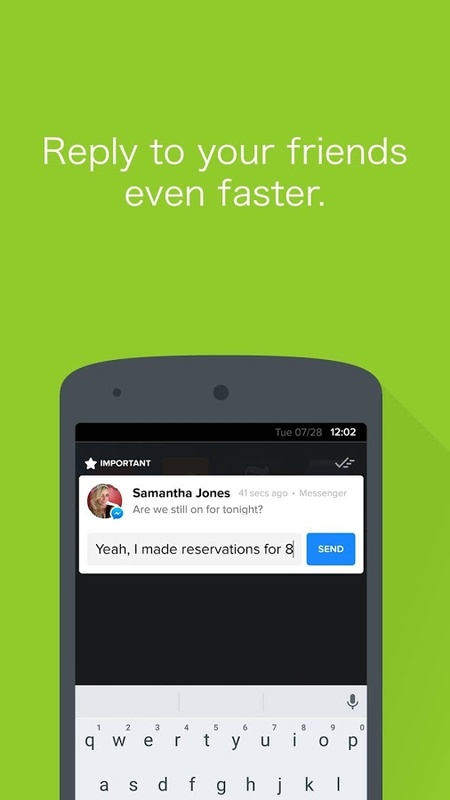 * Optimize your Inbox – a smart way to make email system fun again. 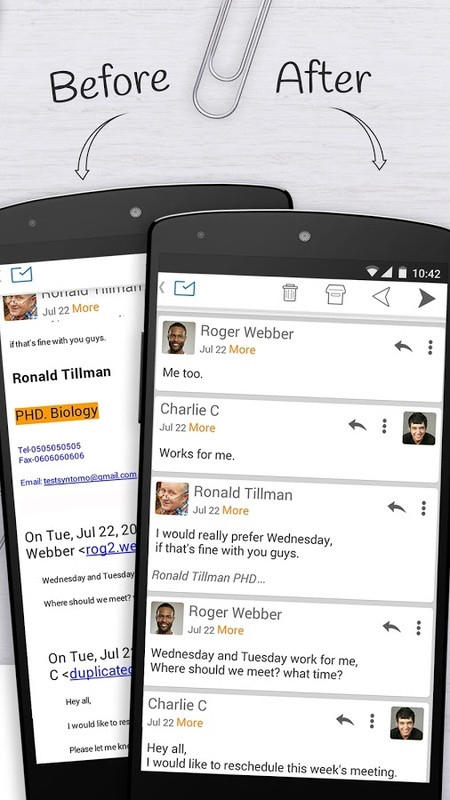 * The best Exchange mail app for Android (KitKat & Lollipop). 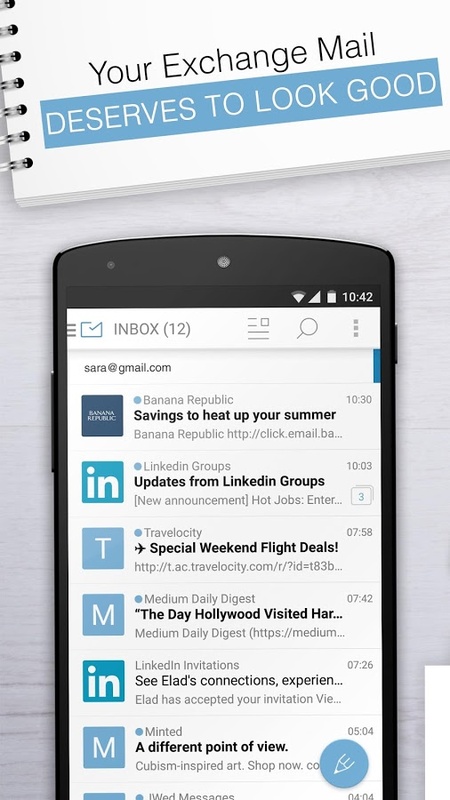 The easiest way to access and manage your ActiveSync Exchange & Microsoft Outlook Email account on your mobile. 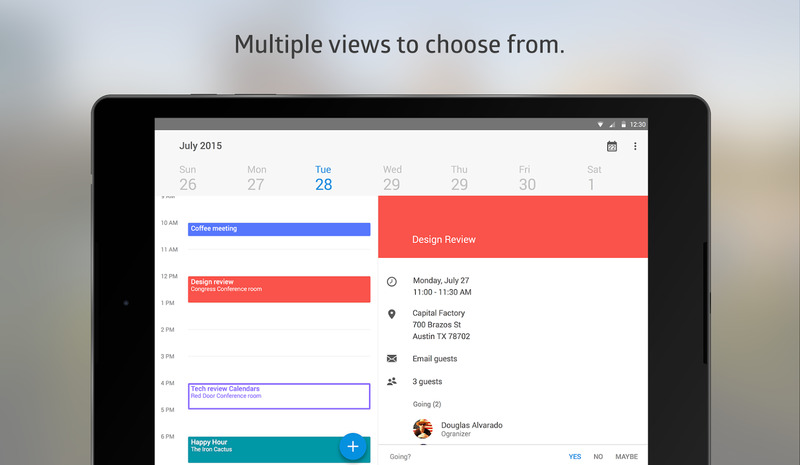 It's the exchange email app you have dreamed of: conversation view is easy and comfortable. Mailwise offers many features to simplify your emails experience, such as: conversation mode, ActiveSync (exchange server), calendar sync, grouped repetitive emails and multiple email accounts support. 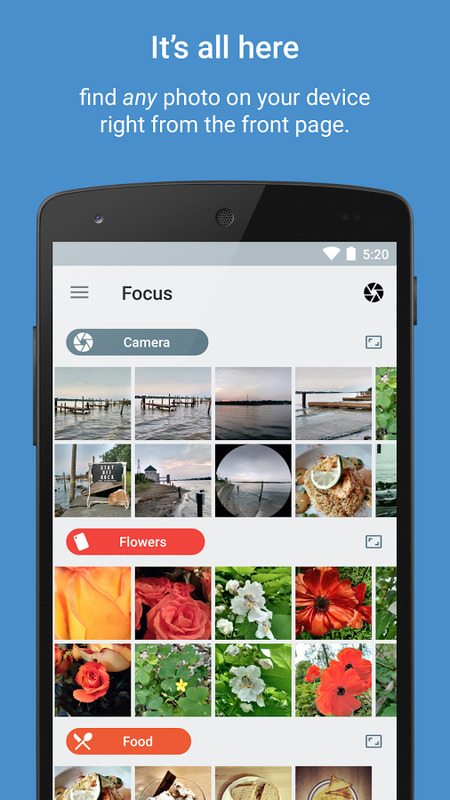 Focus is a pretty standard gallery app with a snazzy interface and one killer feature: it's a snap to find any photo in local storage quickly. The app achieves this with a combination of tags that keep everything tidy. 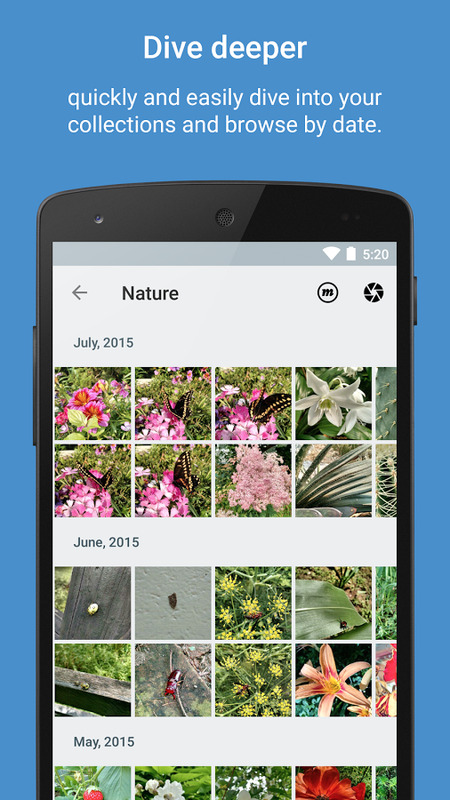 Though the design is simple, it goes deep with support for GIF files and videos. 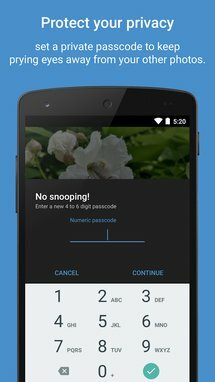 In-app purchases unlock extras like a dark theme and a PIN lock system that lets you hand your phone over to someone else without them instantly swiping to see your... other photos. Focus is an incredible new kind of gallery, perfectly tuned for speed, efficiency, and ease of use. 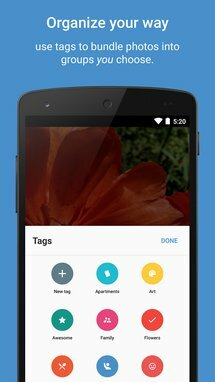 Tag your photos to keep them organized like never before using a first-of-its-kind tagging feature - choose from eleven preset tags, or create your own. 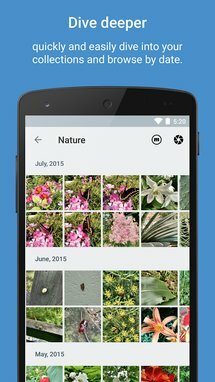 Access any image, gif, or video on your device’s storage directly from the main screen, or dive deeper into your collections to quickly find photos by date. Android Police coverage: Microsoft Translator And Google Translate Compared: Is There A New Challenger In The House? 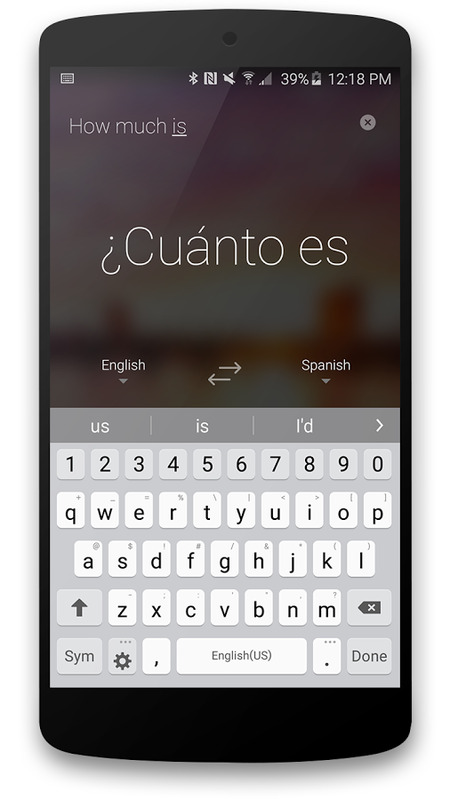 Microsoft Translator is... well, it's a translator app from Microsoft. It does most of the things you'd expect it to, translating voice or text to and from 50 different languages at present. 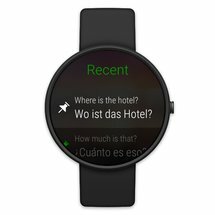 It also looks really good and comes with baked-in support for Android Wear, so you don't need to pull your phone out every five minutes when you're travelling. 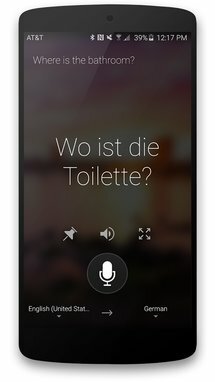 Want to know if it's better than Google Translate? 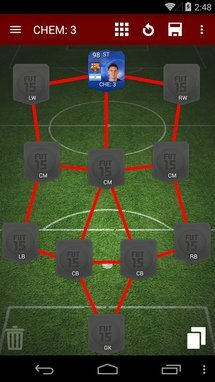 Then hit the link above. 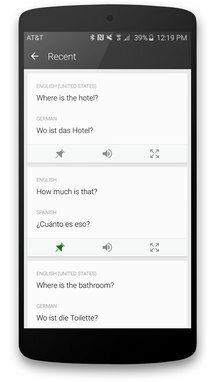 Microsoft Translator helps you break the language barrier whenever you’re traveling or have a need to translate anything in your daily life. 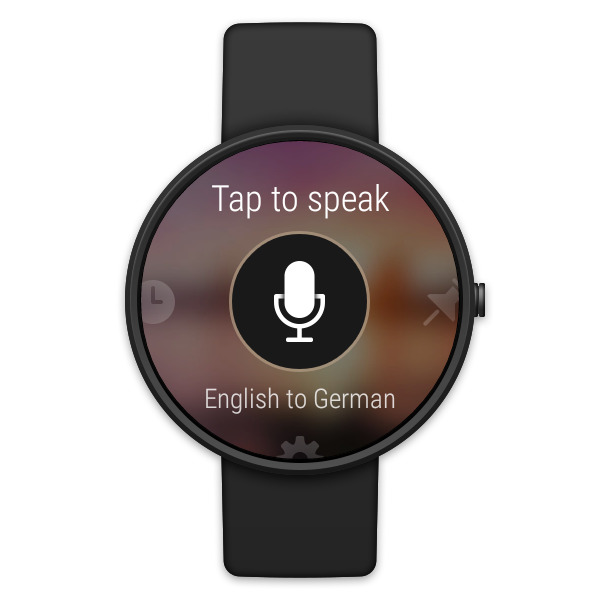 Quickly translate phrases on your Android Wear device, or use the companion phone app when it’s more convenient. • Not sure how to pronounce the translation? Let Translator speak the phrase for you. Boxer Calendar is an alternative to built-in calendars that actually looks pretty good. 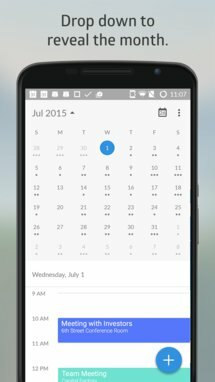 In addition to all the standard calendary goodies and an impressive Material Design implementation, the app includes a "send availability" feature that allows you to quickly schedule events with other users of Boxer Calendar and Boxer Email. The app supports synchronization with Google and Exchange calendars. 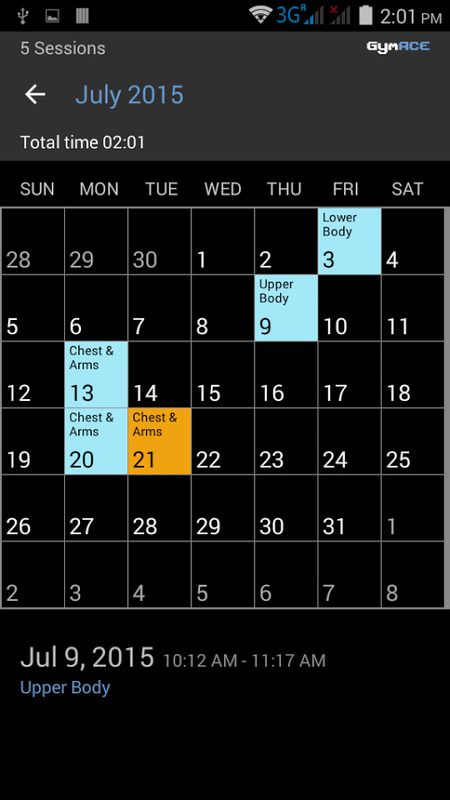 The Official Boxer Calendar app for Android phones and tablets. 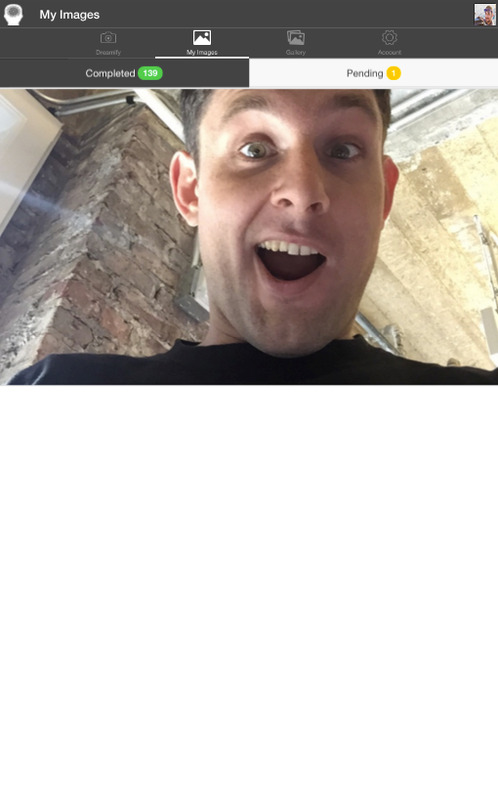 Brought to you from the team nominated for the 2015 Webby Award for Best Mobile Productivity App. 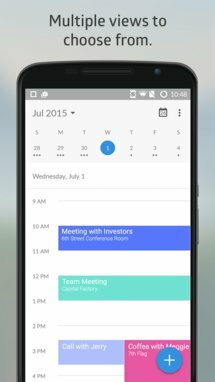 Calendar brings the beauty of Material Design and the well-known ease and usability from Boxer Email to help you schedule your life with ease and style. 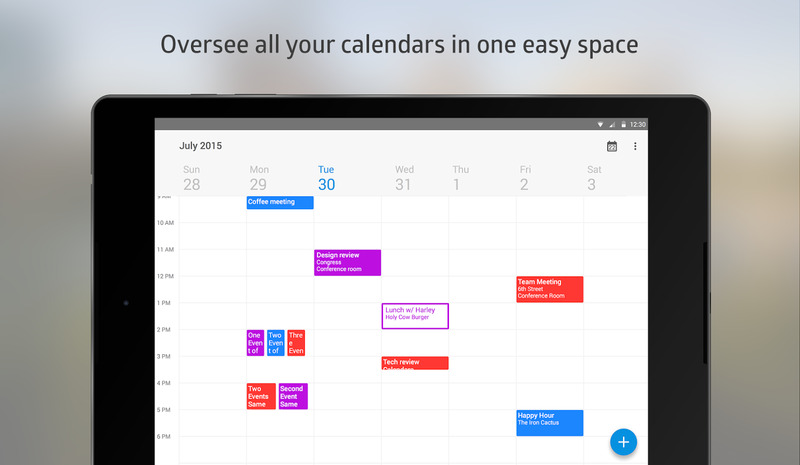 View all of your calendars in one place and always know your availability. 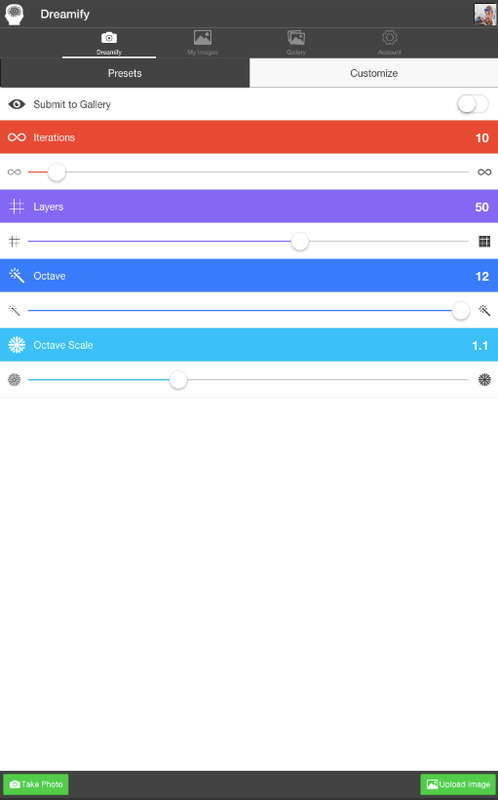 Slowly but surely we're getting more and more music creation tools for Android. 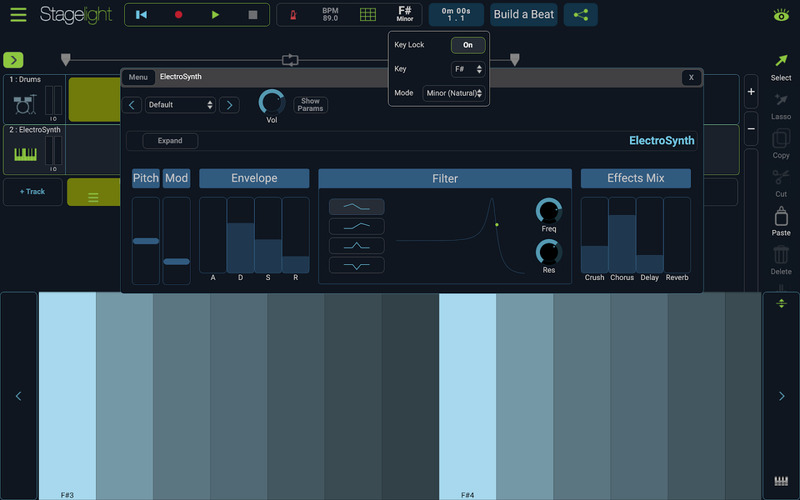 The latest is Stagelight, an app that mixes the more simple finger-friendly interfaces you might be used to for phones and tablets with capabilities of full-scale synthetic music makers. 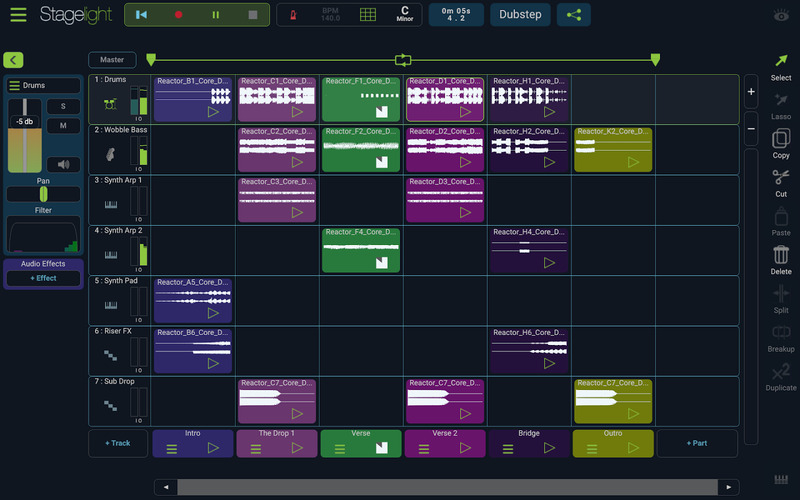 It's designed with techno and electronica in mind, with a structure that emphasizes loops and five sets of keyboard instruments. A $9.99 in-app purchase unlocks more advanced features. 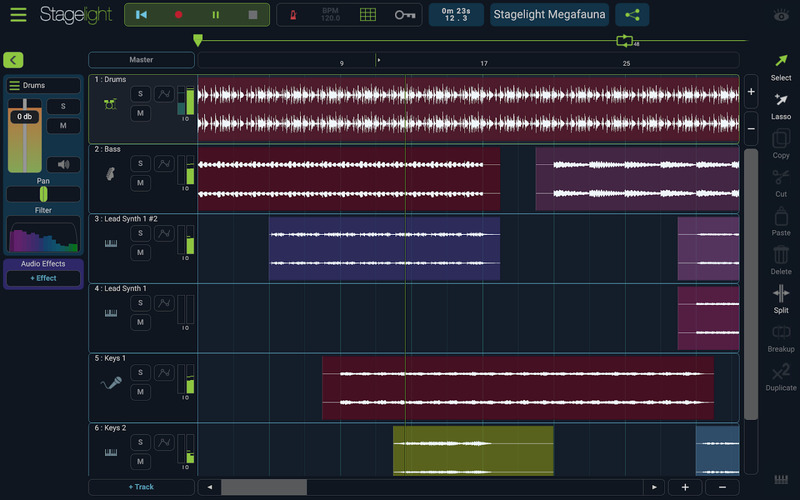 Stagelight is the easiest and best way to create, share and play with music on Android tablets. 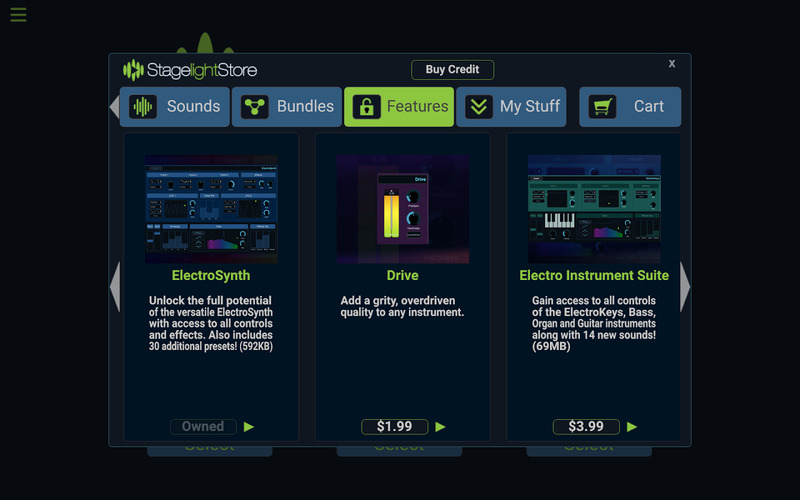 Stagelight is packed full of music creation tools, step-by-step lessons, and an in-app store to suit every musical genre. 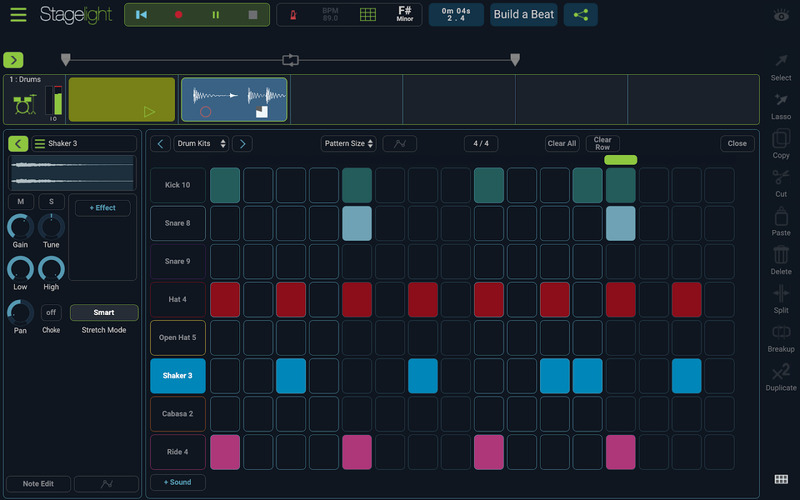 From the basics of building your first beat, to learning how to record instruments, Stagelight’s SongBuilder lessons will help you learn how to make music quickly. 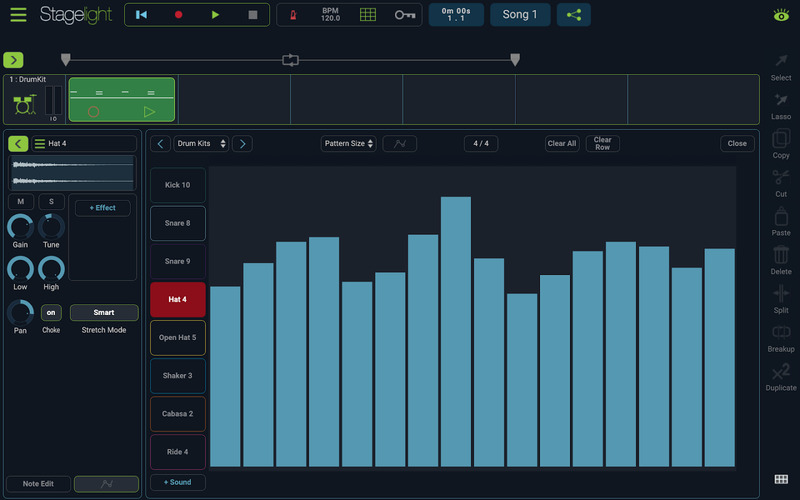 A loop-style production feature that allows you to mash up and record your favorite performances all with a single touch. 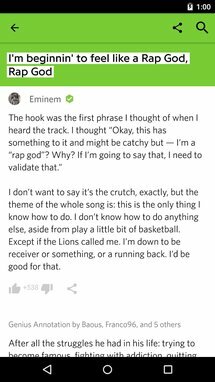 Genius is a database of lyrics, one of the more popular search results when you look for "kenny rogers lucille lyrics." 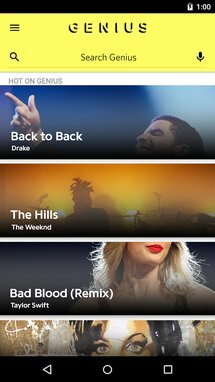 It's taken them a long time to create an Android app, but now that it's here you get access to the standard search function and to curated sections of popular songs. 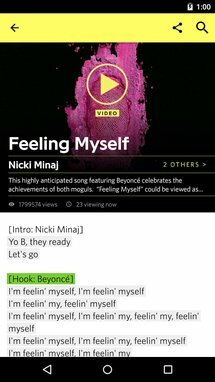 Some artists contribute to their own profiles with information on the music itself. 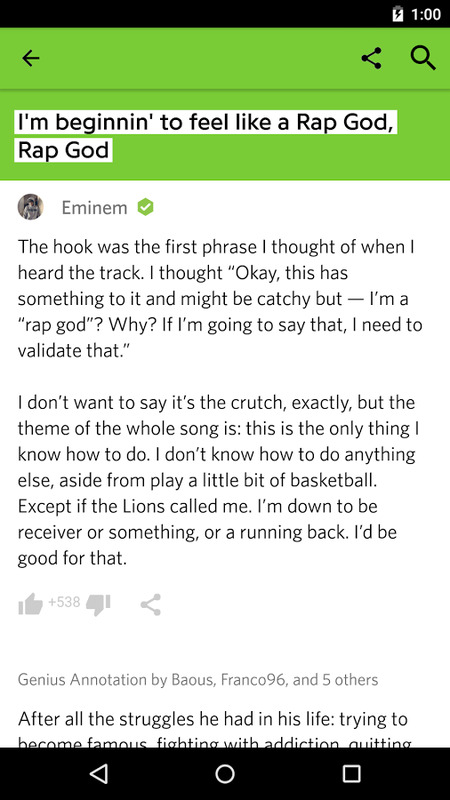 Genius is the world’s biggest collection of song lyrics and crowdsourced musical knowledge. Find annotated lyrics for all your favorite songs, or browse what's hot on Genius. 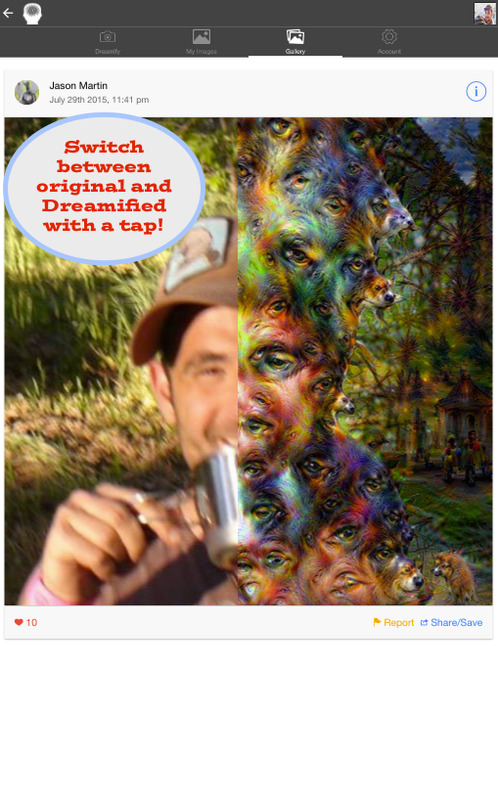 Explore a world of knowledge, crowdsourced from millions of obsessed fans – the Genius community. GET THE FACTS BEHIND THE TRACKS With verified content from artists and producers. The original Snowball app was a multi-messaging client that mixed some chathead-style functionality with an interesting way to combine popular messaging services. 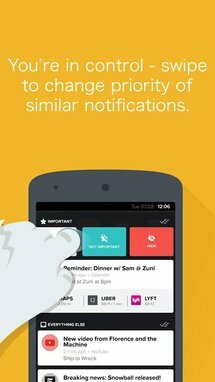 The app seems to have been entirely overhauled into a notification manager - it basically replaces the notification bar with a custom version that lets you hide or highlight the alerts you want. 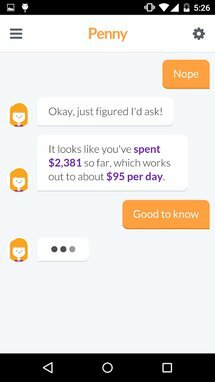 Messages from the most popular chat services get in-line replies. 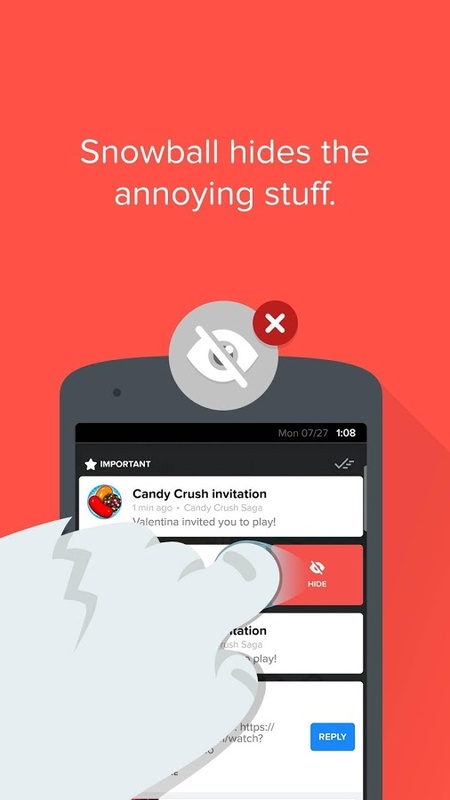 Notifications are great -- until you get too many of them. 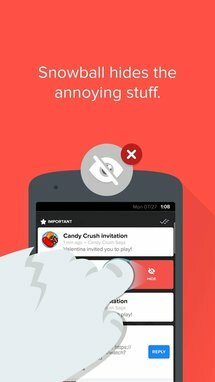 Snowball makes sure you get the notifications you want and none of the rest. 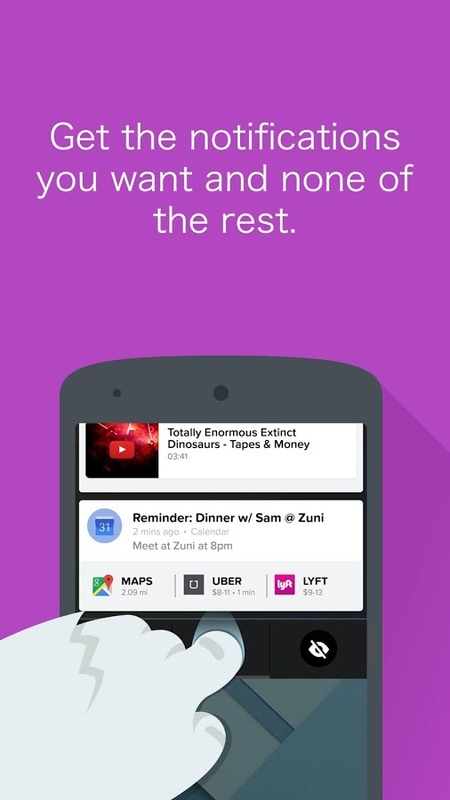 Snowball automatically gets rid of the annoying stuff like "10 of your apps were updated". 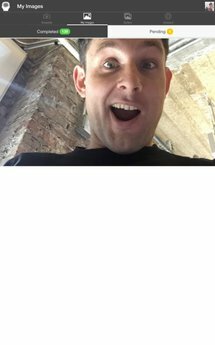 Never miss the important stuff: Since you always want to see what your friends have to say, message notifications always appear at the top. It seems like you would really, really need to love WWE wrasslin' in order to install a dedicated app on your set-top box. 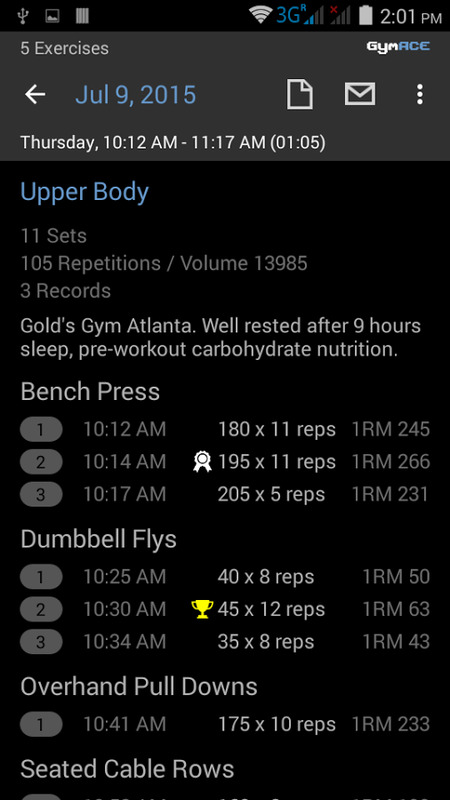 This is that app. In addition to live streams of fights and access to pay-per-view events, there's a ton of legacy content of wrasslin' gone by. 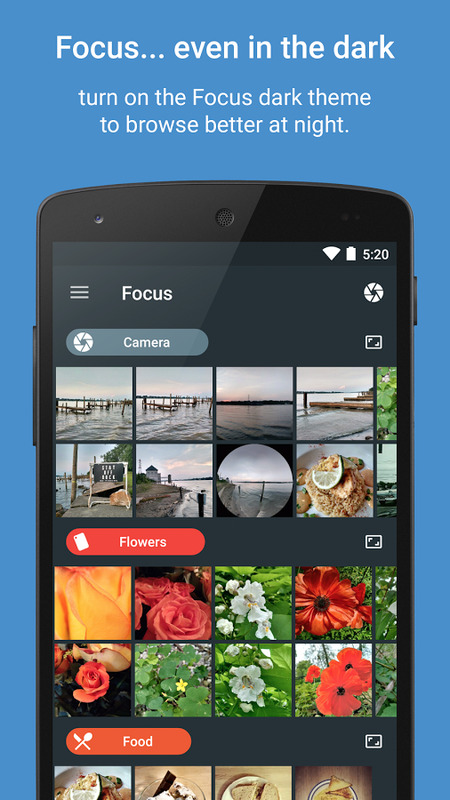 At the moment the app is only for Android TV. You don't need a cable subscription, but you do need to subscribe to the WWE's $10 a month service. 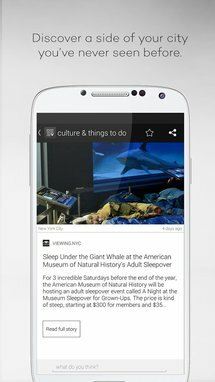 This is a launcher app for Android TV designed to view and launch non-Android TV apps. 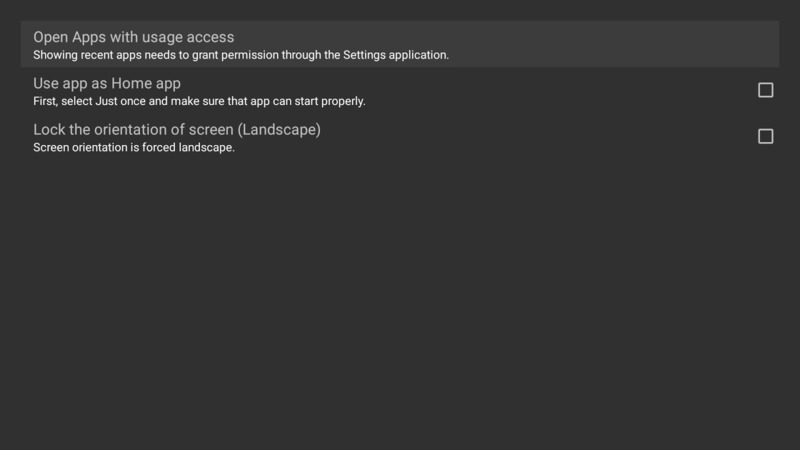 It's often necessary to install sideloaded versions of mobile apps that aren't technically compatible with ATV, but still run on the hardware, like Airdroid or Dropbox. 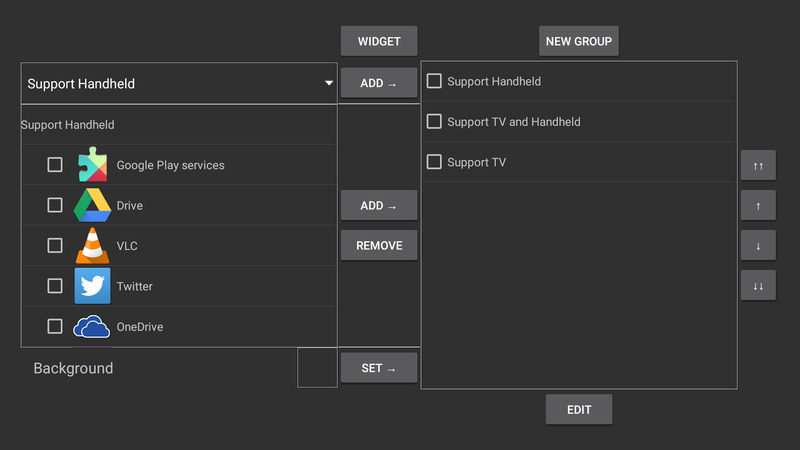 HALauncher lets you access them in a slick Android TV-style launcher without diving into the Settings menu. It also works on Amazon's Fire TV. 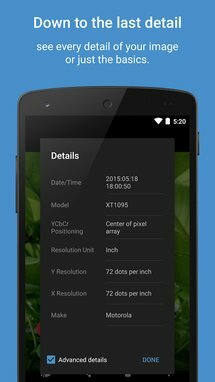 "HALauncher" is launcher for opening the Handheld app quickly on Android TV and Fire TV. 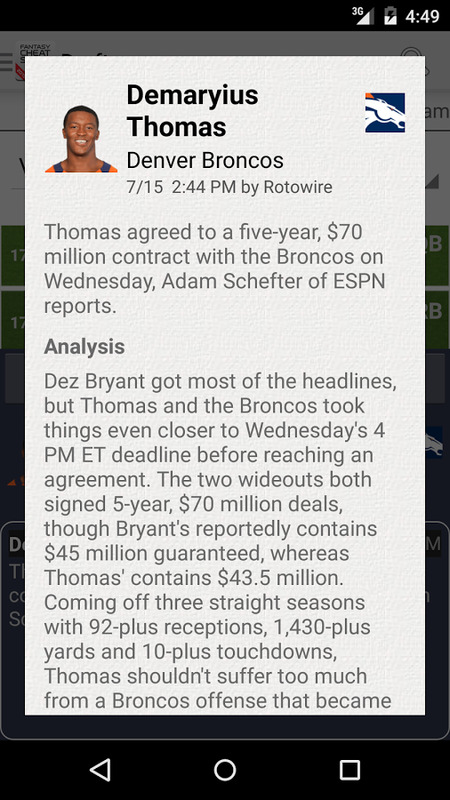 "Handheld app" is the mobile app designed for smartphone or tablet and has no UI for TV. 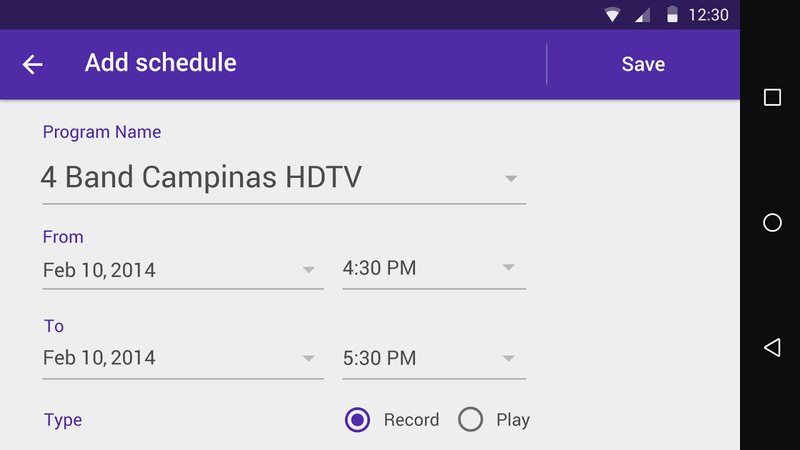 Usually, Android TV's home doesn't show handheld app. By using the "HALauncher", you can call the apps for smartphones and tablets by "normal operation + 1 click" simply and quickly. This is not Home App. You can continue to use the default Home app. 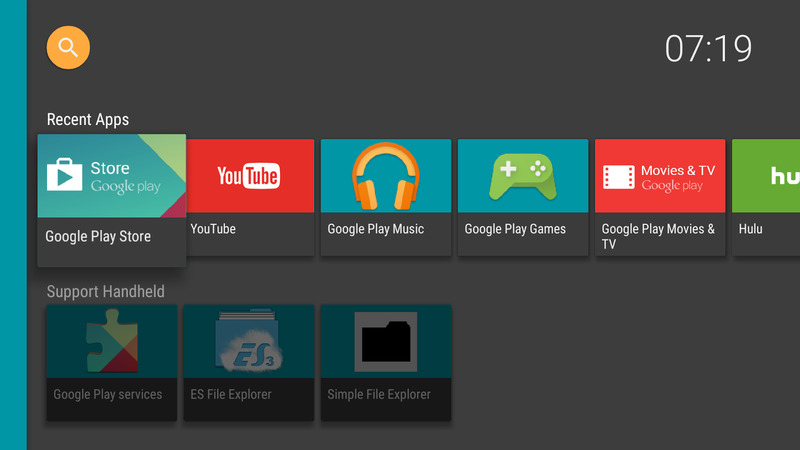 So, Android TV's UI and legacy apps can co-exist. 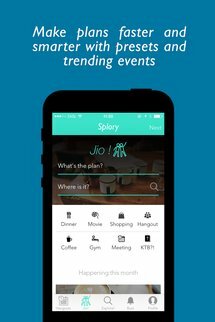 Splory - Plan your meet ups! 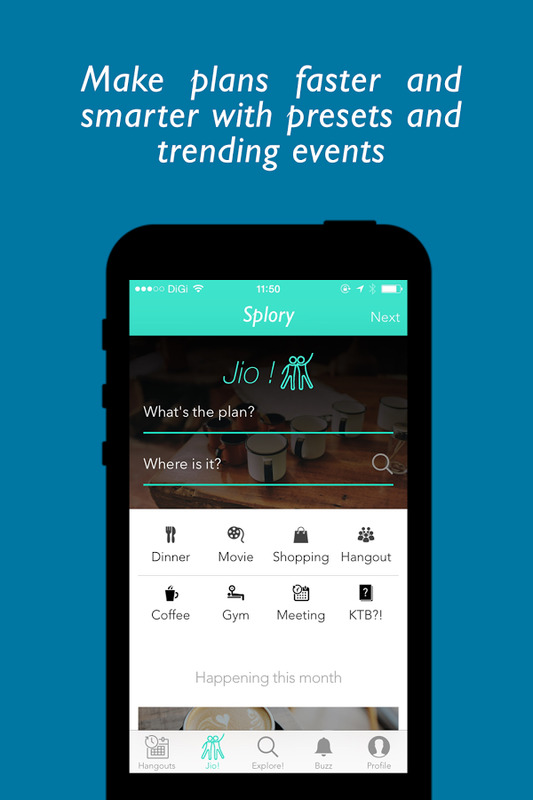 Splory is yet another app that tries to make it easy for you to plan events and invite people. 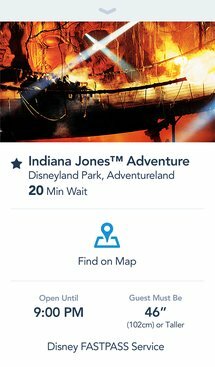 While this sort of thing is usually targeted at either friends or coworkers, the app also includes "suggested events" in nearby locations that are open to strangers. There's a gamification aspect, as users are "ranked" based on their history, and an easy way to remind (read: nag) your contacts that you need a yes or no. 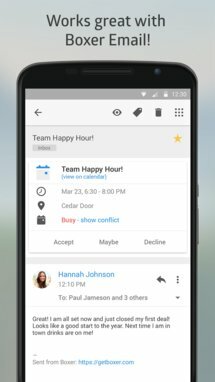 • Plan or RSVP your casual meet up on the go. 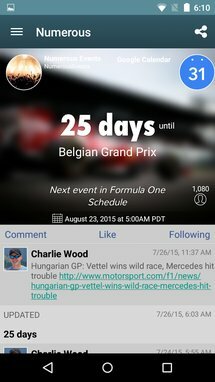 • Invite friends across channels, they don't need the app to tell you if they're going. • Suggest places and times. 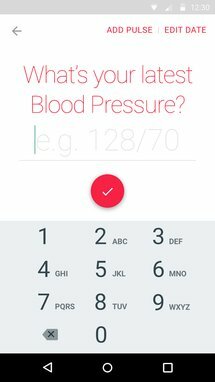 • Remind your friends if you need an answer. 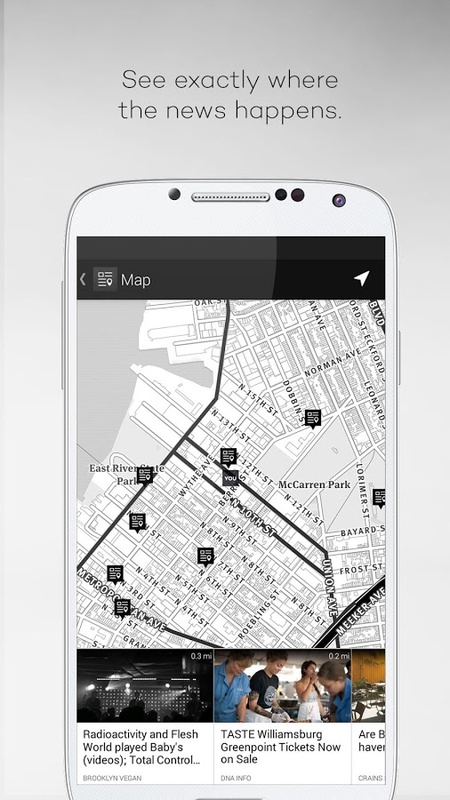 • Explore what's nearby for you - with reviews and recommendations soon. • Never miss any night out again. 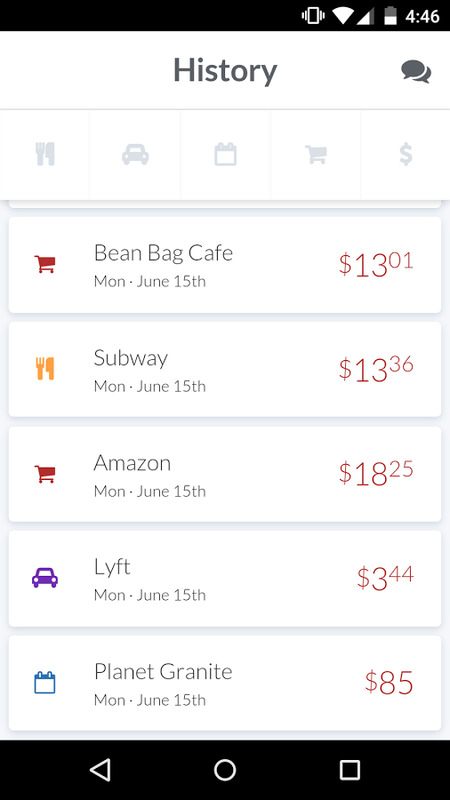 Numerous is kind of like a sports tracking app for you and your life. And also for a bunch of other stuff. It's essentially a collection of widgets that tie into services like Fitbit and Google Analytics to present your personal info and more public sources to provide universal info. I can see this being useful if you constantly ask questions that are relatively easy to answer, like the current exchange rate, and want them all in an easy-to-find location. 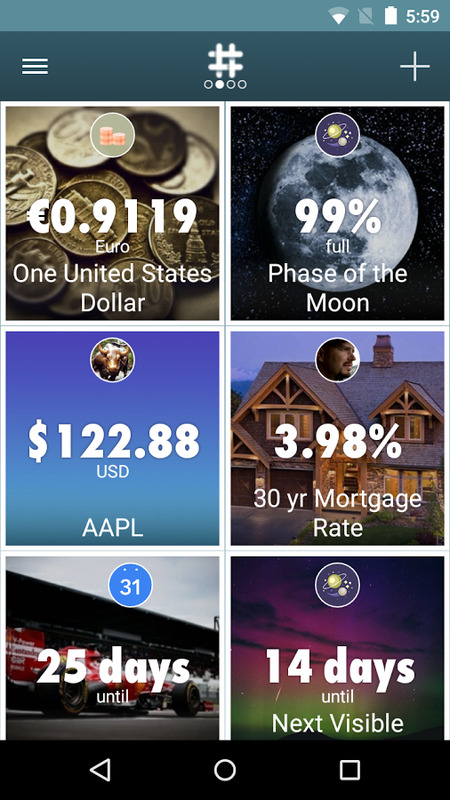 Numerous follows the most important numbers in your life and keeps them up to date, all in one place. Stay on top of all the ever-changing numbers from your professional and personal lives. 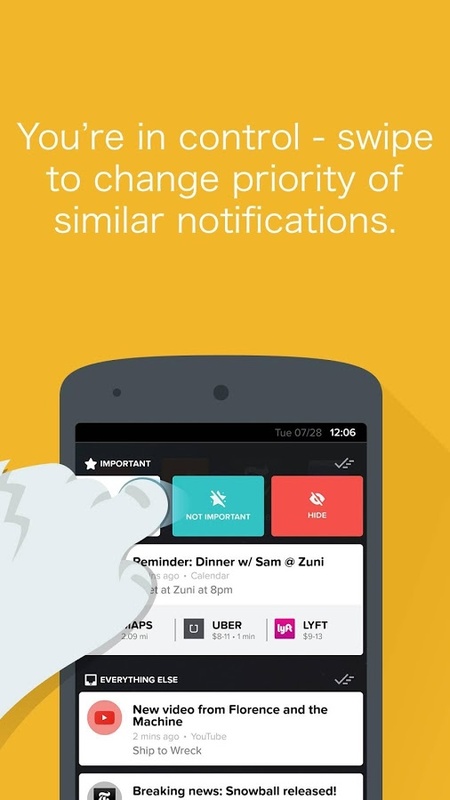 Customized notifications alert you to important changes. 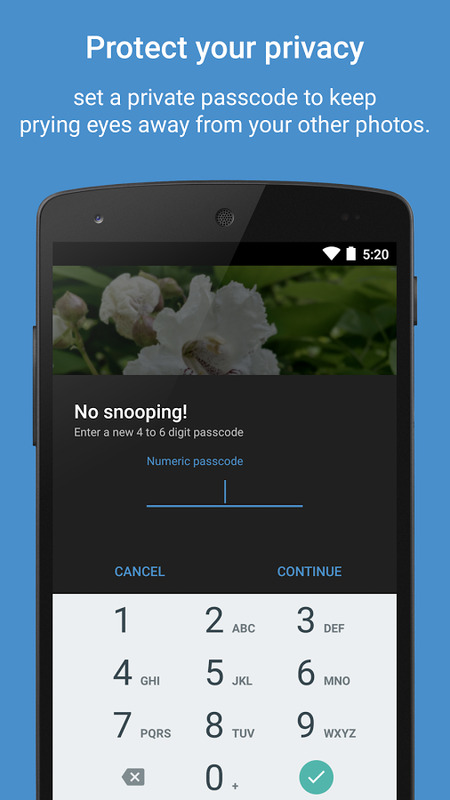 Share your numbers publicly or privately, or keep them to yourself. 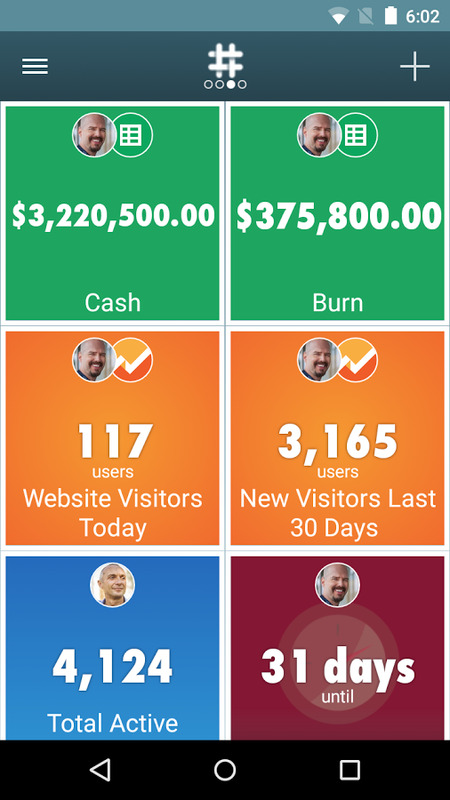 Numerous connects to business applications like Stripe, Salesforce, Google Sheets, Google Analytics, and Google Calendar, connected devices like Tesla Model S, and health and outdoor apps like Fitbit, Misfit, Strava, and Weather Underground. More channels are added all the time. 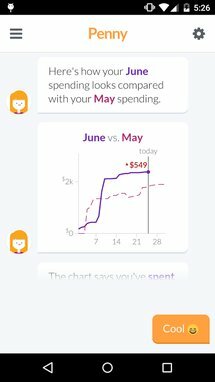 Penny is a money tracker and "financial coach" that displays your spending habits and would really like you to work towards your financial goals, please, come on, for me? 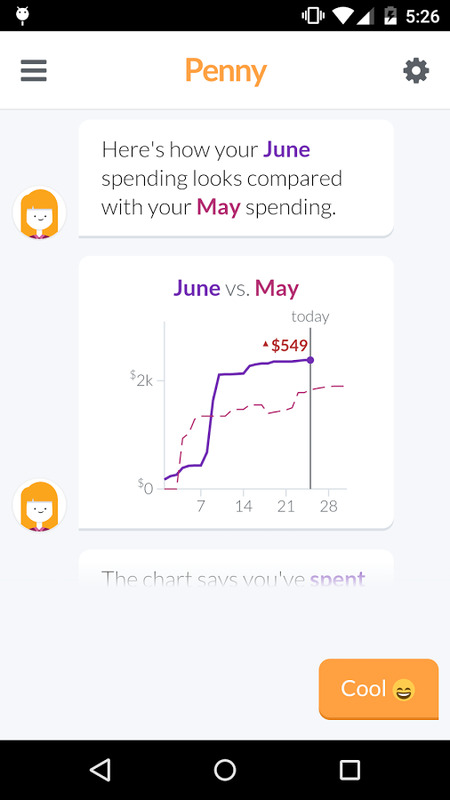 It's the latest in the current boom of "personified" apps - the financial advisor is a little cartoon lady named Penny. 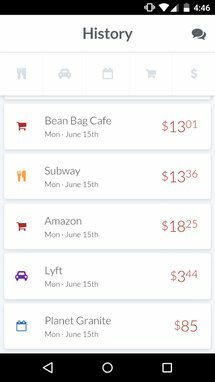 On top of that, the app offers categorizations of your purchases, but it's nothing you couldn't get from similar services like Mint. 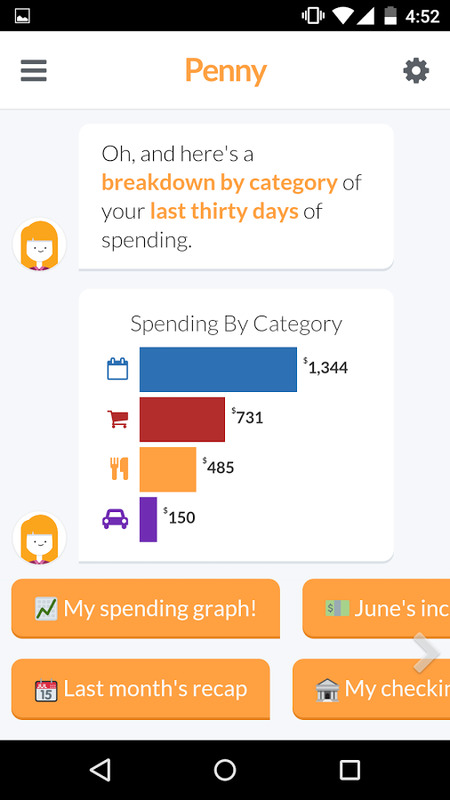 Meet Penny, your personal finance coach. 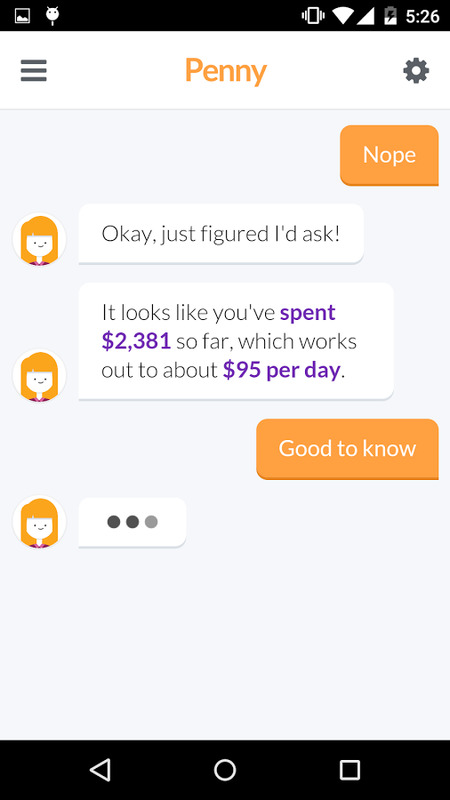 Whenever you chat with her, she'll update you on your spending and help you plan for a better financial future. Just download the app and start chatting. 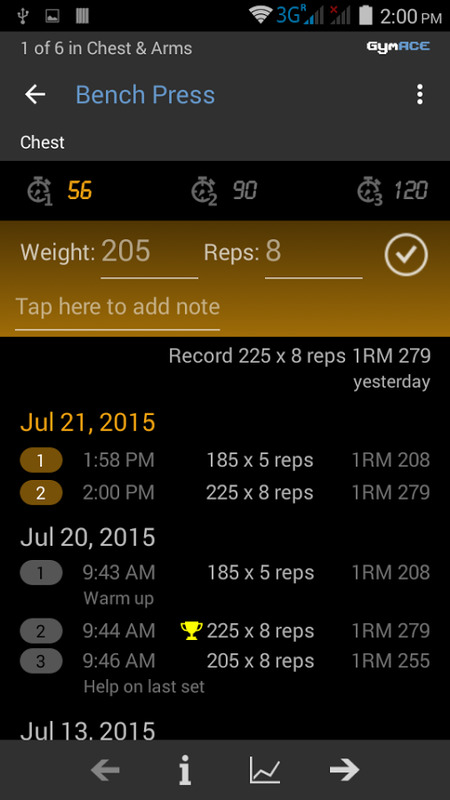 This is a workout log for gym enthusiasts. 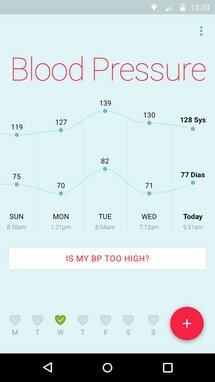 It's not a fitness tracker per se - the app doesn't really care how much you weigh or what you're eating. 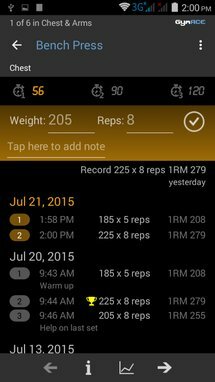 Nope, it's all about tracking exercises to see how much you're improving. 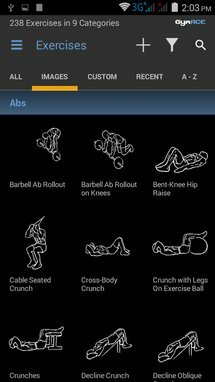 Most of the classical weight, stretching, and aerobic exercises are built in, allowing you to quickly customize the app to your specific routine. Backups are made via Google Drive. 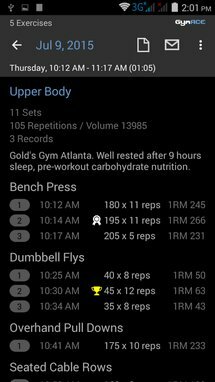 • You can do each exercise one after another, but you can also skip exercises, do them in a different order, or do extra ones. 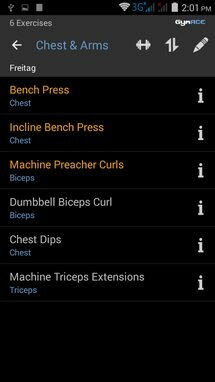 You can also do as many sets as you want, or as the situation in the gym requires. 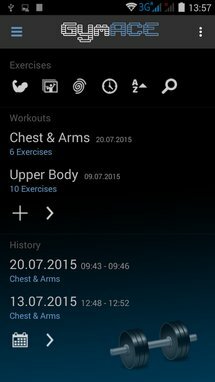 GymACE does not restrict you like for example Jefit. This is a blood pressure tracker for iOS that's been ported to Android. 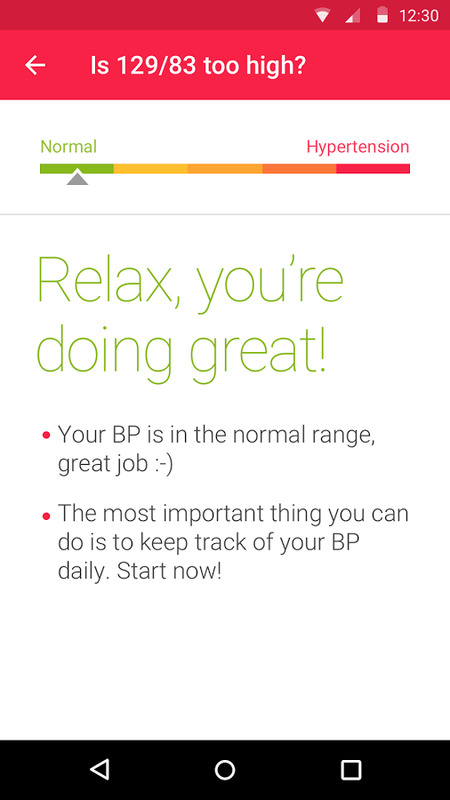 It doesn't actually track your blood pressure itself, even if you've got a heart rate monitor on your watch or phone. 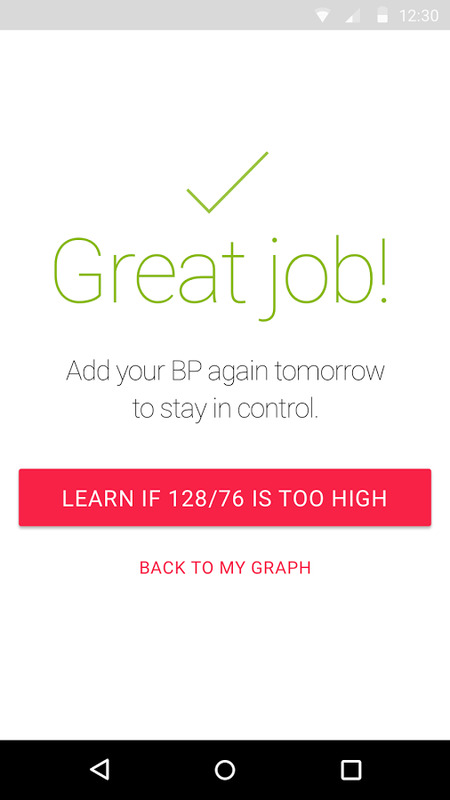 (Heart rate monitors can't do that.) 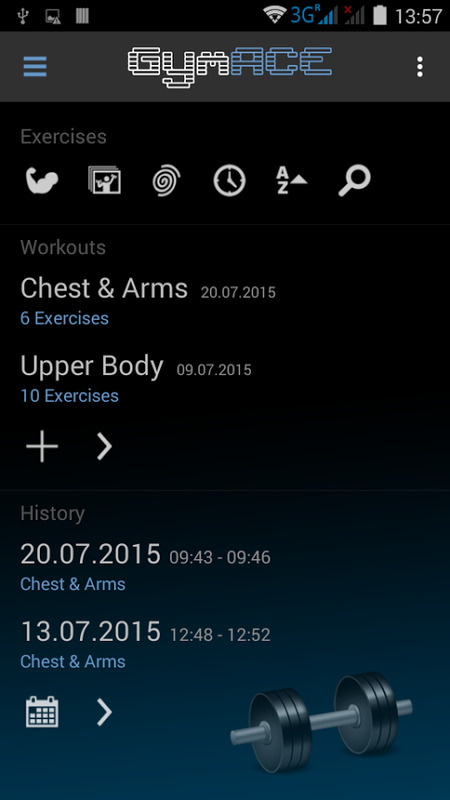 Nope, you'll need to input it manually, and this app tracks it over time. 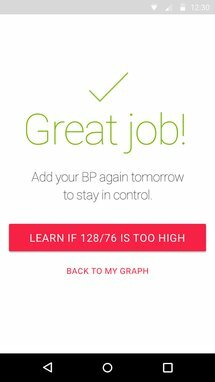 The best blood pressure management app for iPhone and Apple Watch is now on Android. 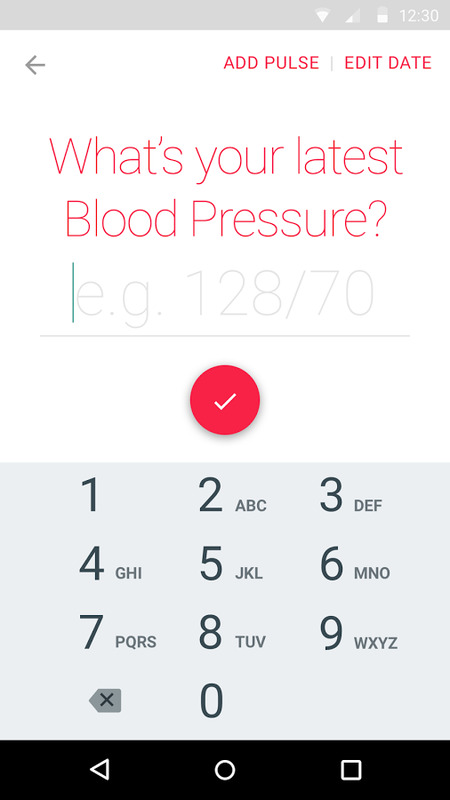 (in Beta) Hello Heart lets you easily track and understand your blood pressure so you can manage your cardiovascular and hypertension risk, worry less and even improve your condition. 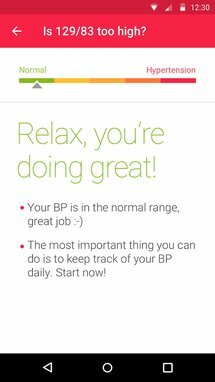 As soon as you enter your first blood pressure reading, you are on your way to taking control of your heart health and feeling better. 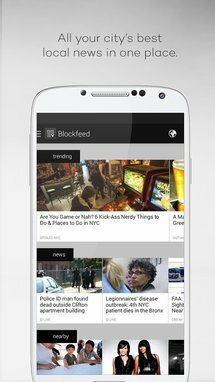 If you live in New York City and believe that it really is the center of the universe, then Blockfeed is the app for you. It delivers news tailored to your specific location wherever you happen to be in the city. Sections for general news, local sports and businesses, and real estate are included. More cities are coming "soon," just as soon as the developers can bring themselves to acknowledge that other cities actually exist. Blockfeed is the only app that features a stream of local news tailored to exactly where you are in NYC. Think of it like a magical newspaper whose front page changes to show you which news stories you're closest to. Magic? Nope. We geolocate stories from hundreds of your city's best blogs, magazines and newspapers in order to connect you to the news near you. 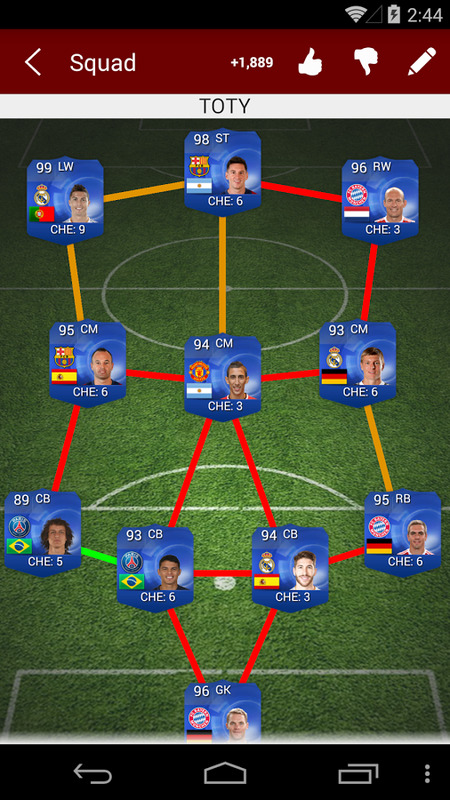 Futhead is an online community for EA's ubiquitous soccer game. 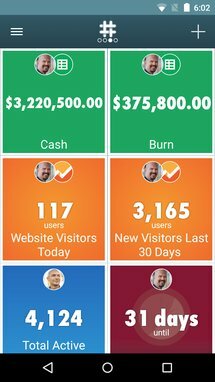 This Android app isn't a game in and of itself, it's more of a database for the thousands of players represented in the game. 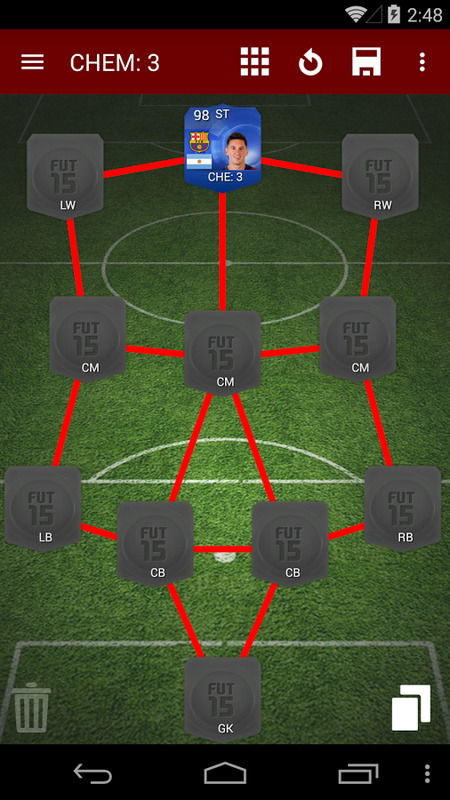 It also allows you to build digital versions of your own squad, connected to your Futhead login. 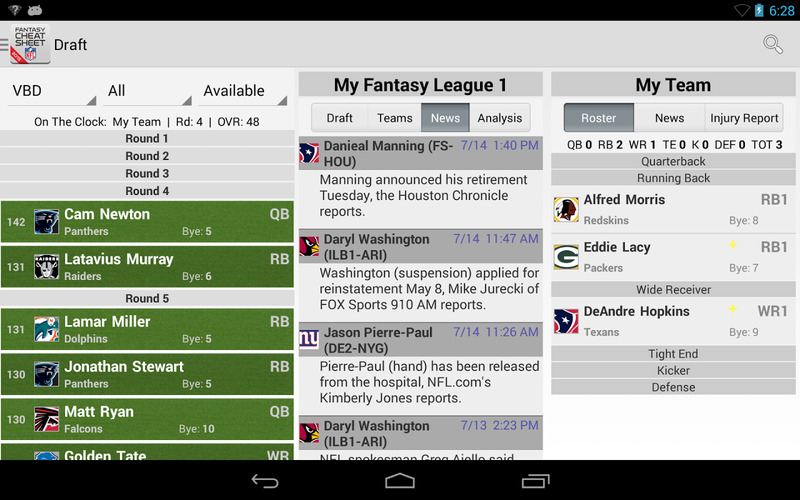 News and leaderboards are included as well. 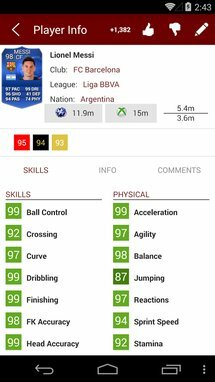 The Futhead App brings you your favourite features from the website, including Player Listing, Squad Building, Comments, News and more. 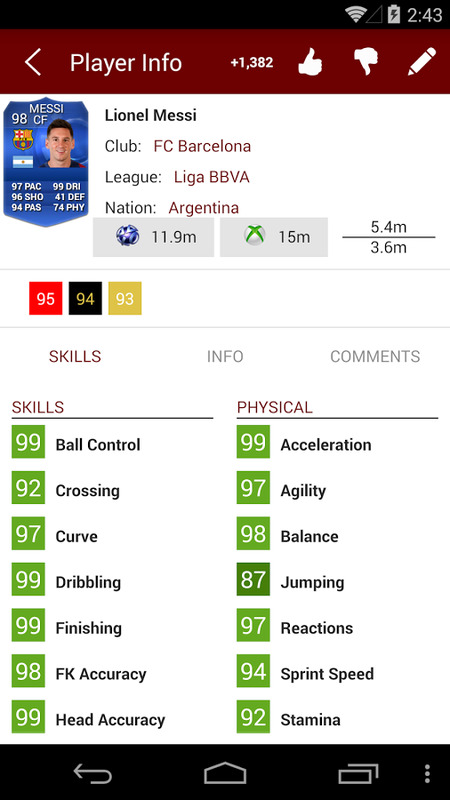 Keep up to date with player stats, prices and all new FUT releases. 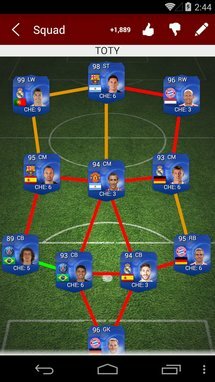 View all the top rated Squads, Comments and players, and even log in to your Futhead account to update your own Squads. Another season, another attempt by the NFL to get fantasy football fans to cough up five bucks. 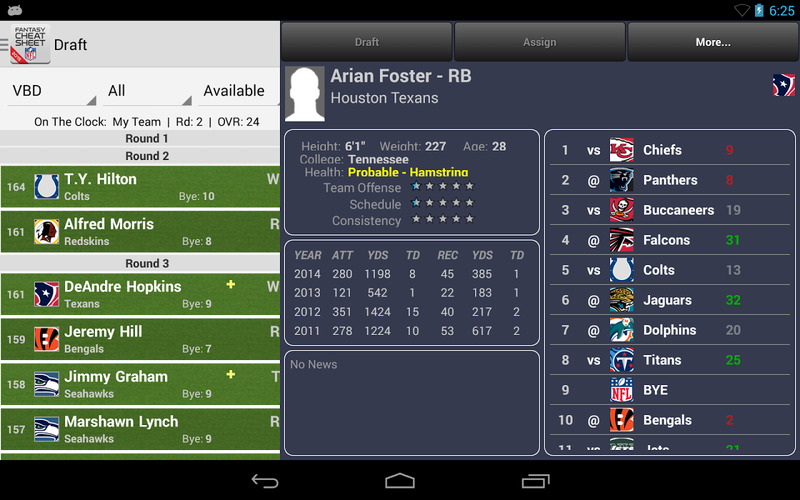 This one looks like it's more or less a complete copy of last year's Cheat Sheet, but it includes a tablet interface. If that's enough for you to pay for what's essentially a collection of stats - stats that are available for free all over the Internet - then go nuts. 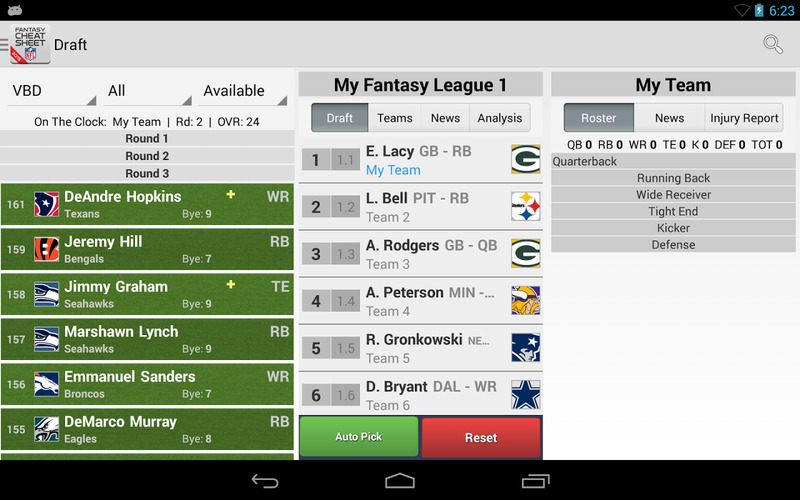 The most important day of your fantasy league is draft day. 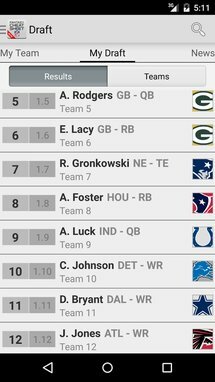 Why leave that up to chance when you can dominate your draft with the official fantasy cheat sheet app of the National Football League - the #1 best selling draft kit app since '08. 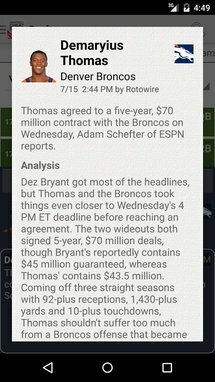 Featuring NFL content in addition to the latest player news, injury reports, depth charts, IDP, keepers, ADP, AAV and VBD. 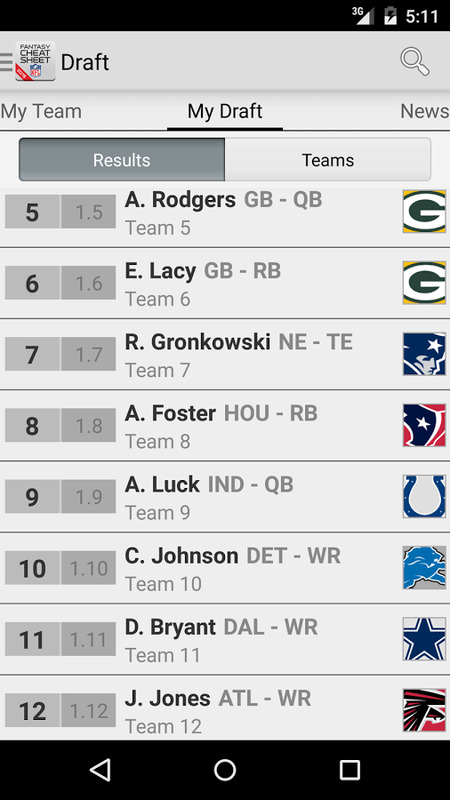 Calculate rankings based on your league scoring system. 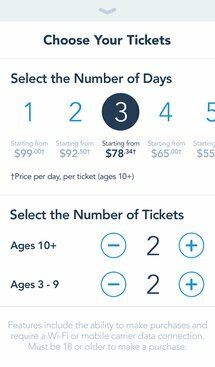 Going to Disneyland (the one in California) any time soon? Then download this GPS-enabled app and skip the paper maps. 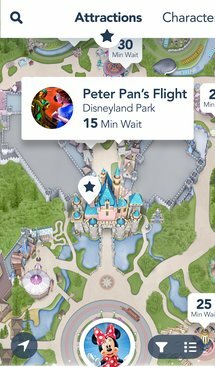 The app also lets you see wait times for popular rides and the current locations of Disney characters (because Hilary HAS TO SEE ELSA FIRST THING EVERY DAY). Frequent visitors will be able to see when their annual passes are valid. 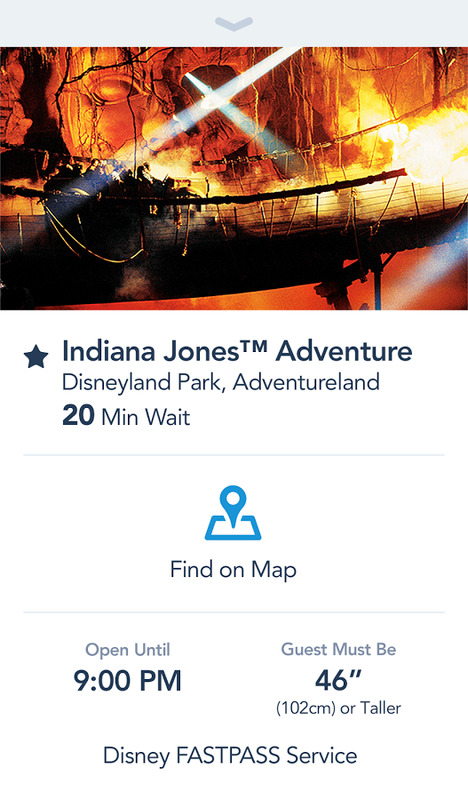 Download the official app for the Disneyland® Resort. Enhance your next visit with an enchanting mobile experience. 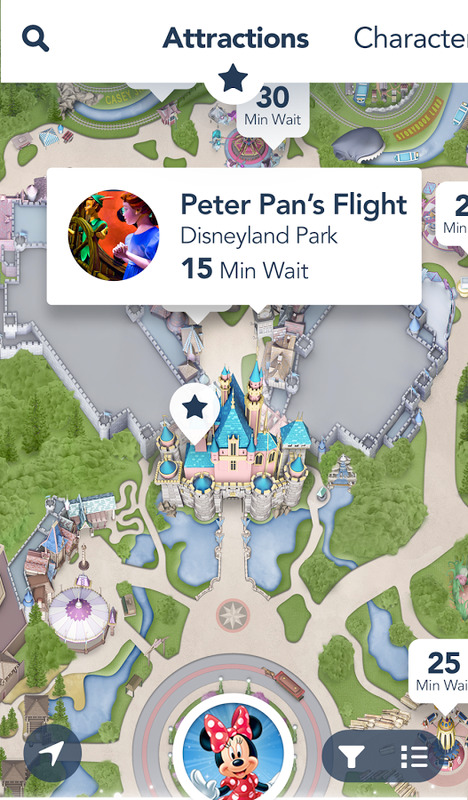 Buy your tickets, see wait times, browse maps, locate Disney Characters appearing throughout the parks and much more. Skip the Ticket Lines: Buy park tickets* with the app and show your barcode at the gate for admission when you first get to the park. No ticket booth lines to stand in or e-tickets to print out. 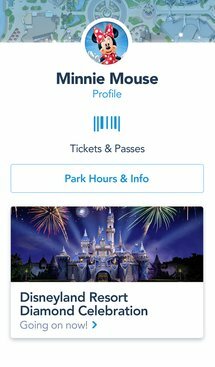 A Must-Have for Passholders: Link your passes to view blockout calendars and expiration dates. Show your digital pass barcode at the gate for admission when you arrive. 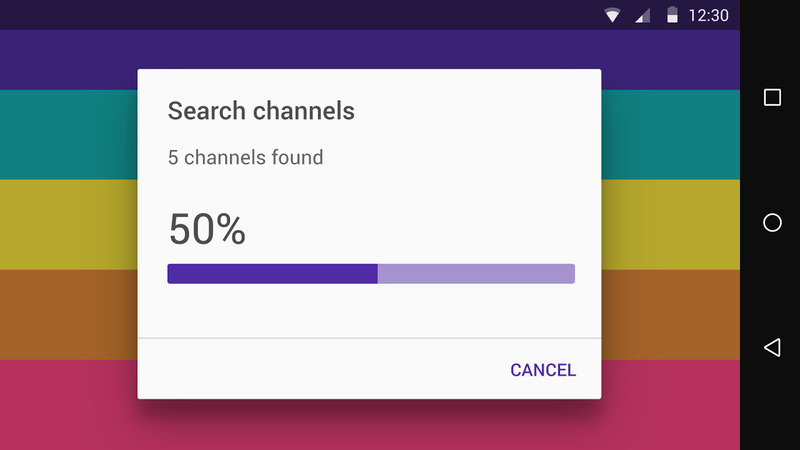 This app lets you watch over-the-air HDTV signals on your Moto G! In Brazil. And only if you've got the upgraded model. 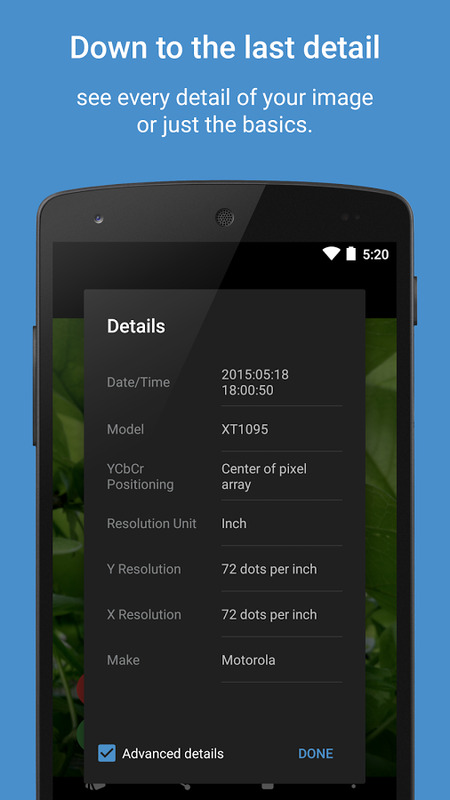 It's a super-special version of an older app that didn't support HD resolution. 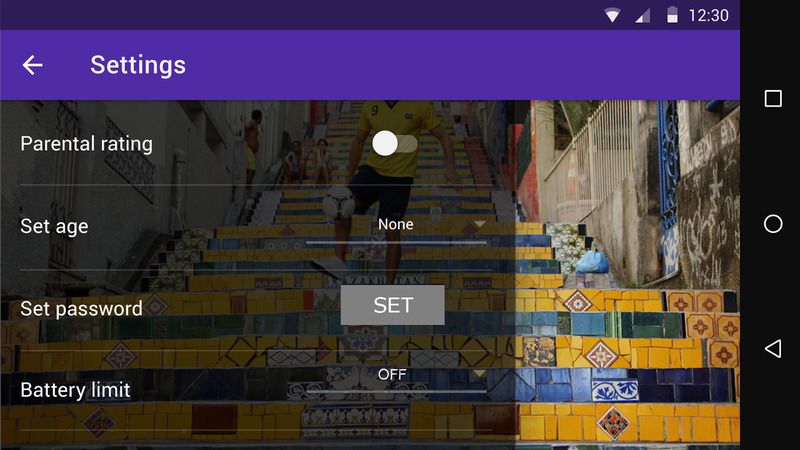 The app also includes some basic DVR features. 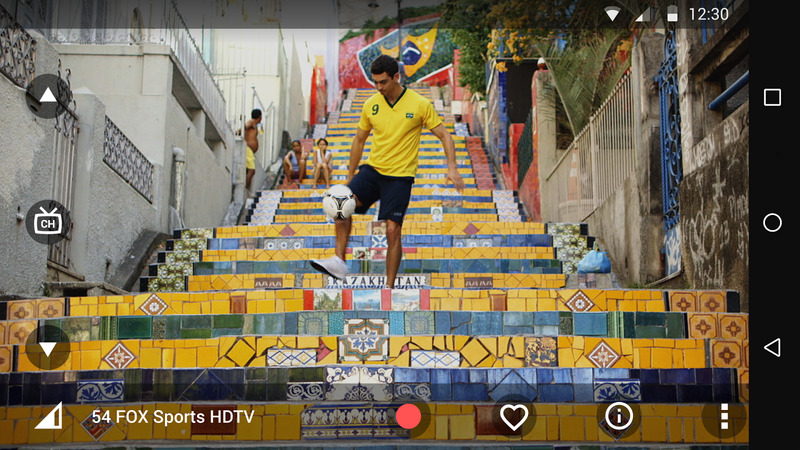 Digital HDTV brings the broadcast TV experience to mobile devices with HD quality, making the experience more personal and more universally available. 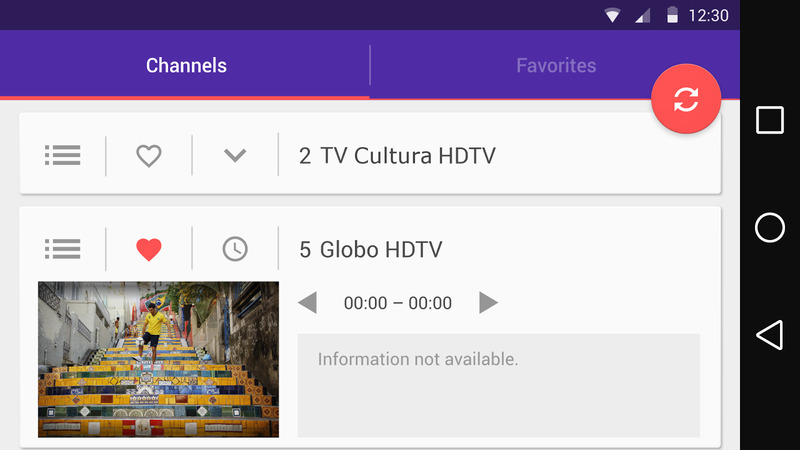 Watch TV while away from home: Digital HDTV brings the HD broadcast TV experience to the mobile device, with the additional support of the EPG (Electronic Program Guide) and Ginga, for user interactivity. Record the TV program that you like: You may record the program you are watching, so that you can see it again later, or share something you liked with others. Choose when to watch your favorite program: You may love a TV program but you may not necessarily be available to watch it when it plays. 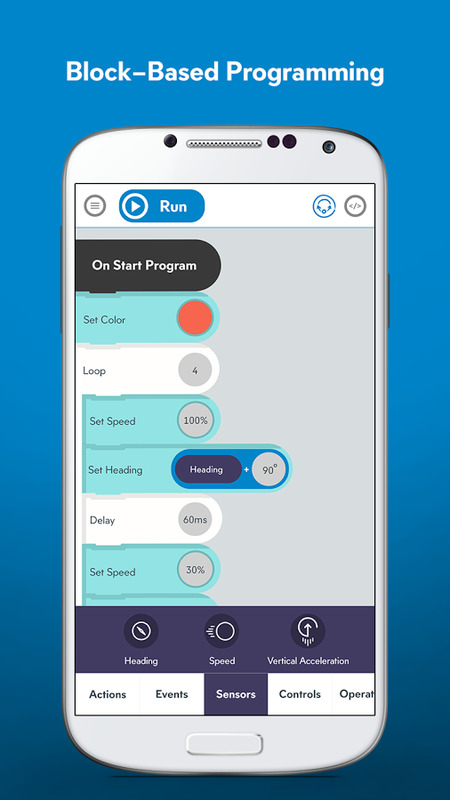 The Sphero SPRK is a super-simplified programing language and code editor designed to let you program your Sphero (those cool little toy ball robots). 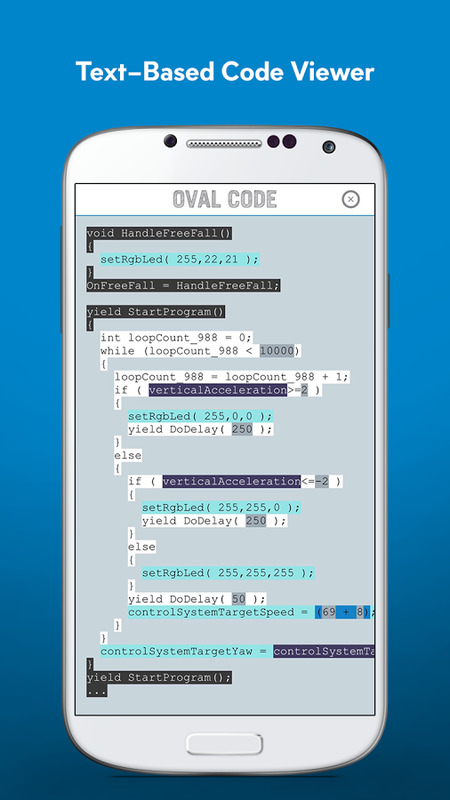 It's block-based, so users can drag and drop pre-assembled bits of code into working programs. 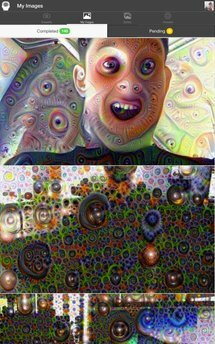 Advanced programmers should be able to do some cool stuff with their robots, while kids and novices will enjoy learning the basics. 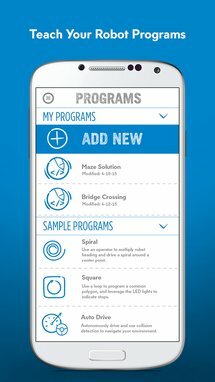 Utilizing block-based building, this app will inspire a love of robotics, coding, and STEM principles while teaching the power of cause, effect, and conditions in programming. 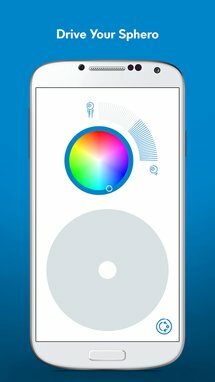 Use this app with Sphero SPRK Edition or Sphero 2.0, both powered by Bluetooth with a 100-foot range and over an hour of drive time on a single charge. SPRK is simple enough for beginners of all ages, yet sophisticated enough for seasoned programmers. 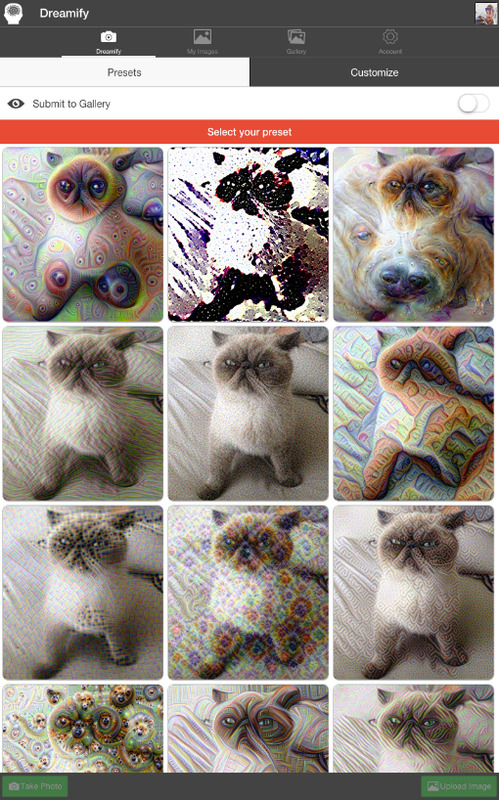 Google's Deep Dream is a publicly-available version of some of the tools that the company uses for image recognition. It's also friggin' insane, man: the processed images look like drug-fueled nightmares to our boring old human eyes. Dreamify lets you upload your own images for processing with a collection of Deep Dream variables, or you can view other people's uploaded images instead. Just don't do it after sundown. 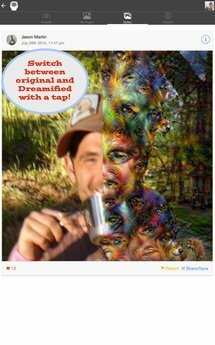 Featured on Popular Science, The Verge, Wired, Yahoo News, and Discovery News. 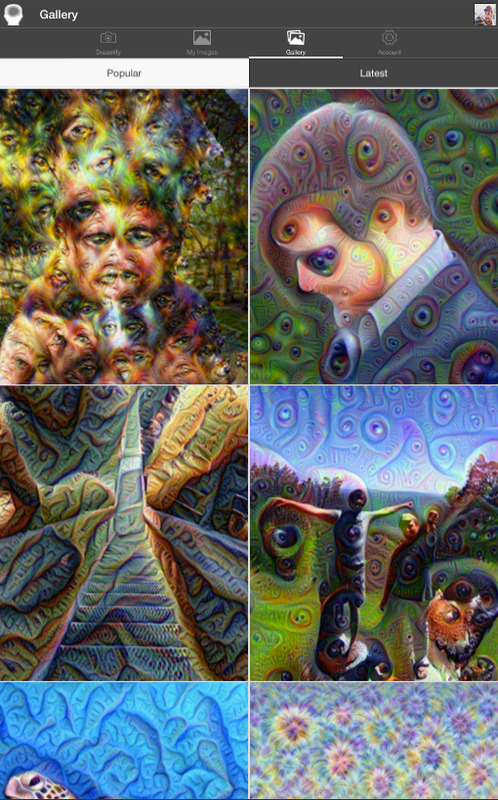 Dreamify transforms your photos into otherworldly masterpieces. 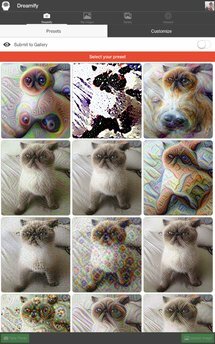 Using Google’s Deep Dream, Dreamify puts you in control: select from a dozen presets, or toggle the algorithm parameters to innovate on your own. 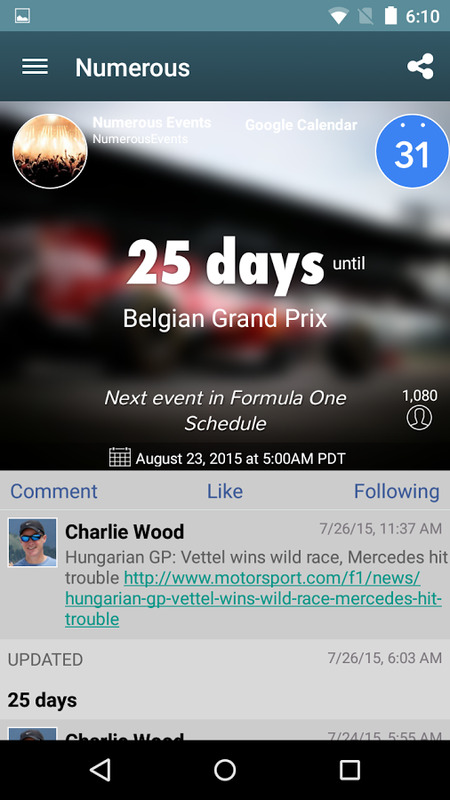 Share your faves with other users and friends on Facebook, Twitter and other social networks or via text or email.